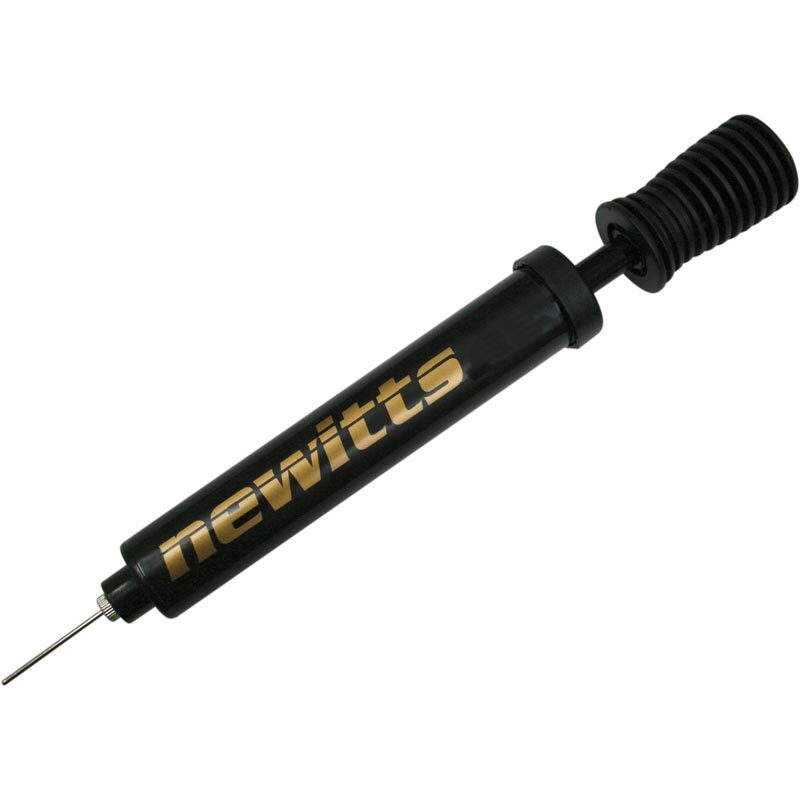 The Newitts Double Action Pocket Pump is a lightweight dual action compact pump easily inflates balls, tyres etc. Complete with 5mm thread needle. this is a great little pump - comes complete with adapter which neatly tucks away in the pump handle when not in use. It pumps (in my case) NETBALLS extremely easily and swiftly to the right pressure - have bought LOADS of these for prizes and for team bag essential equipment. Would thoroughly recommend this product! 5 out of 5 Great little ball pump! This ball pump is excellent value for money - it is light but it is robust and it comes with an adapter that fits neatly at the base of the pump when not in use. (The adapter can get very easily damaged if left on the end of the pump and left in a sports bag ... so great it can be stowed safely away.) Would definitely recommend this item.